Because demand for Deep Bodywork is growing, Perry and Johanna have created 6 seminars teaching deep tissue skills for massage practitioners. Each seminar focuses on different areas of the body. Our basic seminar, Deep Bodywork I, focuses on freeing the back, hips and shoulders; Deep Bodywork II teaches work on the Psoas, Deep Visceral Work™ and healing knees; Deep Bodywork III addresses the rotator cuff (deep shoulder work) and the difficult problem of Carpal-Tunnel Syndrome; Deep Bodywork IV focuses on opening the chest, freeing the breath, and advanced neck work. Deep Bodywork V shows work on the feet, lower legs, and advanced techniques on the hips. Our most advanced class is The Mastery Class: Working with difficult cases. In this seminar we invite models suffering from chronic pain to be worked on daily in front of the class, showing students how to work with people in difficult physical states. Deep Bodywork I-VI are available on DVD. For a schedule of upcoming seminars in Deep Bodywork, Esalen Massage, and Somatic Integration please click here*. The following classes can be taken in any order. We do recommend previous massage experience, as these are intermediate/advanced level classes. 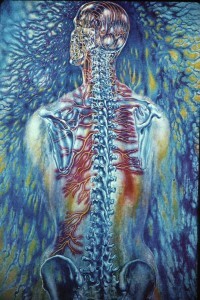 The Mastery class requires attendance at two previous Deep Bodywork seminars, or experience as a connective-tissue bodywork practitioner. Deep bodywork, practiced with great sensitivity, is one of the most effective healing modalities available to the bodywork practitioner. 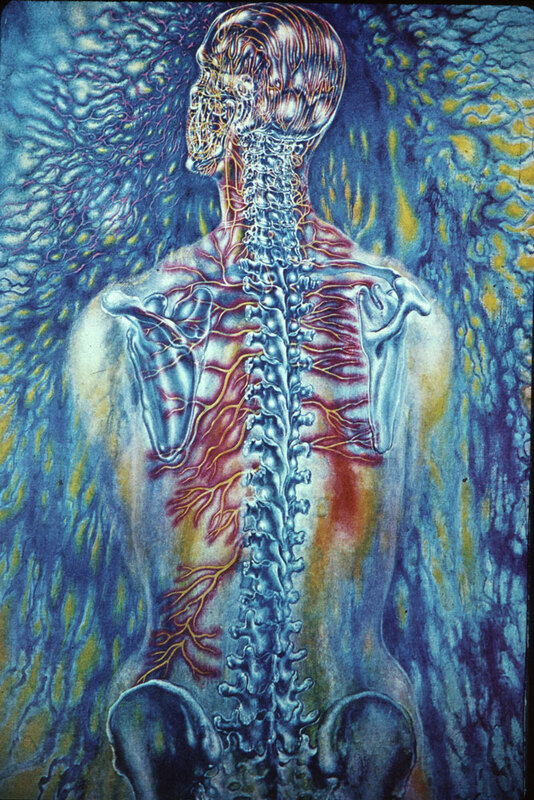 Through slowly opening the body’s deeper soft tissue layers, we connect the mind to normally unconscious, “stuck” areas of the physical body, which can release enormous amounts of previously “held” energy. This energy in turn becomes available to support the body’s innate capacity to self organize and self heal, enabling practitioners to support clients in overcoming previously stubborn, seemingly intractable physical conditions. This program will focus on exploring the modality of deep bodywork as a healing art, and is designed for massage and bodywork practitioners seeking to incorporate effective deep tissue techniques into their work. Whether in private practice, or working in a spa, the demand for practitioners who have mastered the art of moving deeply into the body with skill and sensitivity is growing. Our areas of focus will include: Relieving chronic and acute pain in the back, and around the major joints of the shoulder and hip. We will spend a good deal of time learning to recognize how to feel “soft tissue lesions” with our hands wherever we find them, and learn why, at physiological and energetic levels, competent deep bodywork needs to be done slowly to be most effective. The phenomenon of the “therapeutic aggravation” will be discussed. The teachers will be available to answer questions of specific interest to students as they arise during our practice sessions. This seminar will focus on the tasks of understanding the structure and function of the knee, the Psoas muscle, and the importance of deep, sensitive touch in supporting the overall functioning of the abdominal viscera. Subjects of specific focus will be the role of the thigh and hip muscles in supporting the knee; work on the Ilio-tibial band; learning to palpate and release the Psoas; and massaging the abdominal viscera slowly and deeply. The role of the Psoas in chronic pain of the back and hip will also be discussed. All classes focus on identifying and working with “soft-tissue lesions”, and understanding the phenomenon of the “therapeutic aggravation”. Two areas of the body with which bodyworkers often find themselves confronted are the shoulder and the forearm/wrist. The increasing use of computer keyboards in this digital age have also increased the number of client complaints in these areas. Because of the complexity of these structures, and the intense, chronic pain they often produce, massage practitioners are often reluctant to touch them for fear of doing more harm. In this seminar, we will learn effective deep tissue techniques designed to address both the acute and chronic types of pain often encountered in these areas of the body. We will spend a good deal of time learning to recognize how to feel “soft tissue lesions” with our hands wherever we find them, and learn why, at physiological and energetic levels, Deep Bodywork needs to be done slowly to be most effective. We will also address the aggravation of symptoms which often surface within 48 hrs. of treatment, and how to guide our clients through such occurrences. Perry and Johanna will be available to answer questions of specific interest to participants, and will provide in depth understanding of the anatomy and function of the shoulder, arm and hand. This seminar will focus on healing the neck from chronic and acute pain due to injury and postural issues, as well as freeing the chest and ribs with the intent of opening the vital function of breath. The capacity to fully expand our chests in taking a full, free breath is perhaps the body’s most important tool in unwinding the ongoing stress we accumulate in life. Restriction in this vital capacity can lead to collapsing of the chest, a forward leaning posture of the neck and head, and chronic pain in many areas of the upper body as a secondary result. Our ability to deal with emotional stress can be severely limited if breath is restricted in it’s vital, healing function. We will understand through our discussion of relevant anatomy how an open chest balances the shoulder girdle, providing an organized base for the neck and head. We will look at the structural complexity of the neck in understanding why injury to this vital area can be so difficult to heal. This class will focus on the hips at an advanced level, the feet, and the lower legs. The prevalence of hip pain, which if not resolved can lead to hip replacement surgery, has become a complaint which we see more frequently than in the past. Learning to free the Gluteus medius, minimus, and the Tensor fascia latae will be an important focus in this class. Opening the feet, and freeing the four primary soft tissue layers of the sole of the foot will also be taught. The resulting effects on the entire body from competent footwork are often remarkable. We will learn how to move seamlessly from the foot onto the lower leg, with particular emphasis on the Tibialis Anterior and it’s role in flexing the foot at the ankle. There will be plenty of time for questions, and discussion of actual cases participants may have encountered in their practices. Dealing with our clients’ fear of pain. The duration and intensity of a therapeutic aggravation. Buried trauma, often emotional in nature, that can surface during Deep Bodywork sessions. This is our most advanced class, and students are recommended to view all 6 DVD’s if they have not attended Deep Bodywork I-VI.